On the 16th (Wed), hike the day away at Bright Angel Trail. 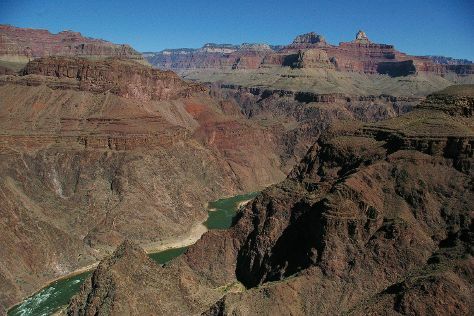 Spend the 17th (Thu) exploring nature at Grand Canyon National Park. The adventure continues: hike along Rim Trail, make a trip to Grand Canyon Village, stroll through South Kaibab Trail, and take in breathtaking views at Grand Canyon South Rim. Planning Grand Canyon National Park trip won't be overwheling when you use's Insprock itinerary maker. January in Grand Canyon National Park sees daily highs of 44°F and lows of 15°F at night. Wrap up your sightseeing on the 18th (Fri) early enough to travel back home.